It’s never fun being the bearer of bad news. You’re on the phone with an amazing prospect. Let’s say it’s a growing appliance sales and repair provider with 75 locations in the western US. Your agency would absolutely love to onboard this client, and the contact is telling you, with some pride, that they’re already ranking pretty well for about half of their locations. With the right strategy, getting them the rest of the way there should be no problem at all. But then you notice something, and your end of the phone conversation falls a little quiet as you click through from one of their Google My Business listings in Visalia to Streetview and see… not a commercial building, but a house. Uh-oh. In answer to your delicately worded question, you find out that 45 of this brand’s listings have been built around the private homes of their repairmen — an egregious violation of Google’s guidelines. “I hate to tell you this…,” you clear your throat, and then you deliver the bad news. If you do in-house Local SEO, do it for clients, or even just answer questions in a forum, you’ve surely had the unenviable (yet vital) task of telling someone they’re “doing it wrong,” frequently after they’ve invested considerable resources in creating a marketing structure that threatens to topple due to a crack in its foundation. Sometimes you can patch the crack, but sometimes, whole edifices of bad marketing have to be demolished before safe and secure new buildings can be erected. 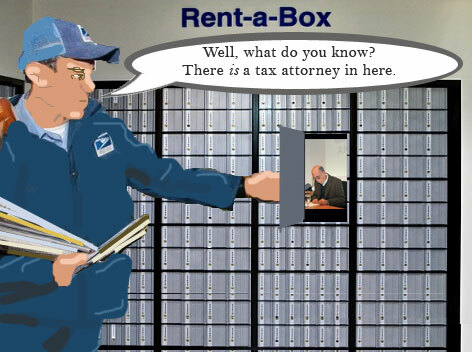 PO Boxes or mailboxes located at remote locations are not acceptable. Service-area businesses—businesses that serve customers at their locations—should have one page for the central office or location and designate a service area from that point. All of this adds up to Google saying you shouldn’t create a listing for anything other than a real-world location, but it’s extremely common to see a) spammers simply creating tons of listings for non-existent locations, b) people of good will not knowing the guidelines and doing the same thing, and c) service area businesses (SABs) feeling they have to create fake-location listings because Google won’t rank them for their service cities otherwise. In all three scenarios, the brand puts itself at risk for detection and listing removal. Google can catch them, competitors and consumers can catch them, and marketers can catch them. Once caught, any effort that was put into ranking and building reputation around a fake-location listing is wasted. Better to have devoted resources to risk-free marketing efforts that will add up to something real. Advise the SAB owner to self-report the problem to Google. I know this sounds risky, but Google My Business forum Top Contributor Joy Hawkins let me know that she’s never seen a case in which Google has punished a business that self-reported accidental spam. The owner will likely need to un-verify the spam listings (see how to do that here) and then Google will likely remove the ineligible listings, leaving only the eligible ones intact. What about dyed-in-the-wool spammers who know the guidelines and are violating them regardless, turning local pack results into useless junk? Get to the spam listing in Google Maps, click the “Suggest an edit” link, toggle the toggle to “Yes,” and choose the radio button for spam. Google may or may not act on your suggestion. If not, and the spam is misleading to consumers, I think it’s always a good idea to report it to the Google My Business forum in hopes that a volunteer Top Contributor may escalate an egregious case to a Google staffer. Use a local phone number instead of a central, call center helpline number whenever possible. The phone number must be under the direct control of the business. This rules out having the phone number of a single location representing multiple locations. Google has also been known in the past to phone businesses for verification purposes. Should a business answer “Jim’s Dog Walking” when a Google rep is calling to verify that the phone number is associated with “Jim’s Karate Lessons,” we’re in trouble. Shared phone numbers have also been suspected in the past of causing accidental merging of Google listings, though I’ve not seen a case of this in a couple of years. 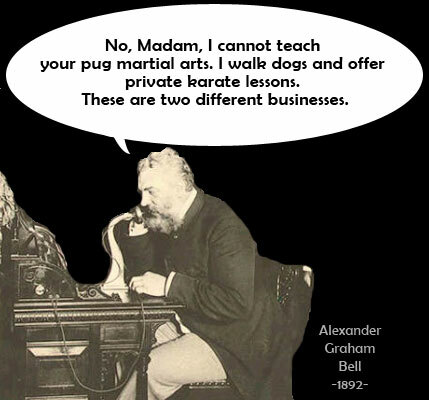 As for the multi-practitioner scenario, the reality is that some business models simply don’t allow for practitioners to answer their own phones. Calls for doctors, dentists, attorneys, etc. are traditionally routed through a front desk. This reality calls into question whether forward-facing listings should be built for these individuals at all. We’ll dive deeper into this topic below, in the section on multi-practitioner listings. Beyond Google-related concerns, Moz Local’s awesome engineers have taught me some rather amazing things about the problems shared phone numbers can create for citation-building campaigns in the greater ecosystem. Many local business data platforms are highly dependent on unique phone numbers as a signal of entity uniqueness (the “P” in NAP is powerful!). So, for example, if you submit both Jim’s Dog Walking and Jim’s Bookkeeping to Infogroup with the same number, Infogroup may publish both listings, but leave the phone number fields blank! And without a phone number, a local business listing is pretty worthless. It’s because of realities like these that a unique phone number for each entity is a requirement of the Moz Local product, and should be a prerequisite for any citation building campaign. Let the business owner know that a unique phone number for each business entity, each business location, and each forward-facing practitioner who wants to be listed is a necessary business expense (and, hey, likely tax deductible, too!). Once the investment has been made in the unique numbers, the work ahead involves editing all existing citations to reflect them. The free tool Moz Check Listing can help you instantly locate existing citations for the purpose of creating a spreadsheet that details the bad data, allowing you to start correcting it manually. Or, to save time, the business owner may wish to invest in a paid, automated citation correction product like Moz Local. Pro tip: Apart from removing local business listing stumbling blocks, unique phone numbers have an added bonus in that they enable the benefits of associating KPIs like clicks-to-call to a given entity, and existing numbers can be ported into call tracking numbers for even further analysis of traffic and conversions. You just can’t enjoy these benefits if you lump multiple entities together under a single, shared number. Your name should reflect your business’ real-world name, as used consistently on your storefront, website, stationery, and as known to customers. Including unnecessary information in your business name is not permitted, and could result in your listing being suspended. I consider this a genuine Local SEO toughie. On the one hand, Google’s lack of enforcement of these guidelines, and apparent lack of concern about the whole thing, makes it difficult to adequately alarm business owners about the risk of suspension. I’ve successfully reported keyword stuffing violations to Google and have had them act on my reports within 24 hours… only to have the spammy names reappear hours or days afterwards. If there’s a suspension of some kind going on here, I don’t see it. Simultaneously, Google’s local algo apparently continues to be influenced by exact keyword matches. When a business owner sees competitors outranking him via outlawed practices which Google appears to ignore, the Local SEO may feel slightly idiotic urging guideline-compliance from his patch of shaky ground. If you’re not teaching business owners about the importance of brand building at this point, you’re not really teaching marketing. Ask the owner, “Are you into building a lasting brand, or are you hoping to get by on tricks?” Smart owners (and their marketers) will see that it’s a more legitimate strategy to build a future based on earning permanent local brand recognition for Lincoln & Herndon, than for Springfield Car Accident Slip and Fall Personal Injury Lawyers Attorneys. I find it interesting that, in all of Google’s guidelines, the word “suspended” is used only a few times, and one of these rare instances relates to spamming the business title field. In other words, Google is using the strongest possible language to warn against this practice, and that makes me quite nervous about tying large chunks of reputation and rankings to a tactic against which Google has forewarned. I remember that companies were doing all kinds of risky things on the eve of the Panda and Penguin updates and they woke up to a changed webscape in which they were no longer winners. Because of this, I advocate alerting any business owner who is risking his livelihood to chancy shortcuts. Better to build things for real, for the long haul. Fortunately, it only takes a few seconds to sign into a GMB account and remove extraneous keywords from a business name. If it needs to be done at scale for large multi-location enterprises across the major aggregators, Moz Local can get the job done. Will removing spammy keywords from the GMB listing title cause the business to move down in Google’s local rankings? It’s possible that they will, but at least they’ll be able to go forward building real stuff, with the moral authority to report rule-breaking competitors and keep at it until Google acts. And tell owners not to worry about Google not being able to sort out a downtown location from an uptown one for consumers. Google’s ability to parse user proximity is getting better every day. Mobile-local packs prove this out. If one location is wrongly outranking another, chances are good the business needs to do an audit to discover weaknesses that are holding the more appropriate listing back. That’s real strategy – no tricks! Definitely a frequent topic in SEO forums, the practice of relying on exact match domains (EMDs) proliferates because of Google’s historic bias in their favor. The ranking influence of EMDs has been the subject of a Google updateand has lessened over time. I wouldn’t want to try to rank for competitive terms with creditcards.com or insurance.com these days. It’s impractical. The majority of the forum threads I’ve encountered in which small-to-medium local businesses have ended up with two, or five, or ten domains invariably lead to the discovery that the websites are made up of either thin or duplicate content. Larger enterprises are often guilty of the same. What seemed like a great idea at first, buying up all those EMDs, turns into an unmanageable morass of web properties that no one has the time to keep updated, to write for, or to market. Specific to the multi-service business, it’s not a smart move to put single-location NAP on multiple websites. In other words, if your construction firm is located at 123 Main Street in Funky Town, but consumers and Google are finding that same physical address associated with fences.com, bathroomremodeling.com, decks.com, and kitchenremodeling.com, you are sowing confusion in the ecosystem. Which is the authoritative business associated with that address? Some business owners further compound problems by assuming they can then build separate sets of local business listings for each of these different service-oriented domains, violating Google’s guidelines, which state:Do not create more than one page for each location of your business.The whole thing can become a giant mess, instead of the clean, manageable simplicity of a single brand, tied to a single domain, with a single NAP signal. With rare-to-nonexistent exceptions, I consider EMDs to be missed opportunities for brand building. Imagine, if instead of being Whole Foods at WholeFoods.com, the natural foods giant had decided they needed to try to squeeze a ranking boost out of buying 400+ domains to represent the eventual number of locations they now operate. WholeFoodsDallas.com, WholeFoodsMississauga.com, etc? Such an approach would get out of hand very fast. Even the smallest businesses should take cues from big commerce. Your brand is the magic password you want on every consumer’s lips, associated with every service you offer, in every location you open. As I recently suggested to a Moz community member, be proud to domain your flower shop as rossirovetti.com instead of hoping FloralDelivery24hoursSanFrancisco.com will boost your rankings. 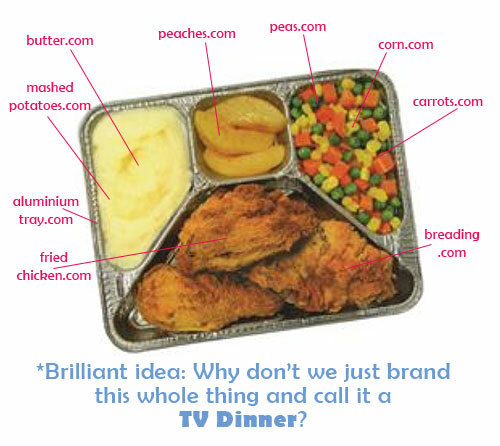 It’s authentic, easy to remember, looks trustworthy in the SERPs, and is ripe for memorable brand building. While I can’t speak to the minutiae of every single scenario, I’ve yet to be part of a discussion about multi-sites in the Local SEO community in which I didn’t advise consolidation. Basically, the business should choose a single, proud domain and, in most cases, 301 redirect the old sites to the main one, then work to get as many external links that pointed to the multi-sites to point to the chosen main site. This oldie but goodie from the Moz blog provides a further technical checklist from a company that saw a 40% increase in traffic after consolidating domains. I’d recommend that any business that is nervous about handling the tech aspects of consolidation in-house should hire a qualified SEO to help them through the process. I’ve saved the most complex for last! Multi-practitioner listings can be a blessing, but they’re so often a bane that my position on creating them has evolved to a point where I only recommend building them in specific cases. When Google first enabled practitioner listings (listings that represent each doctor, lawyer, dentist, or agent within a business) I saw them as a golden opportunity for a given practice to dominate local search results with its presence. However, Google’s subsequent unwillingness to simply remove practitioner duplicates, coupled with the rollout of the Possum update which filters out shared category/similar location listings, coupled with the number of instances I’ve seen in which practitioner listings end up outranking brand listings, has caused me to change my opinion of their benefits. I should also add that the business title field on practitioner listings is a hotbed of Google guideline violations — few business owners have ever read Google’s nitty gritty rules about how to name these types of listings. In a nutshell, practitioner listings gone awry can result in a bunch of wrongly-named listings often clouded by duplicates that Google won’t remove, all competing for the same keywords. Not good! You’ll have multiple scenarios to address when offering advice about this topic. 1.) If the business is brand new, and there is no record of it on the Internet as of yet, then I would only recommend creating practitioner listings if it is necessary to point out an area of specialization. So, for example if a medical practice has 5 MDs, the listing for the practice covers that, with no added listings needed. But, if a medical practice has 5 MDs and an Otolaryngologist, it may be good marketing to give the specialist his own listing, because it has its own GMB category and won’t be competing with the practice for rankings. *However, read on to understand the challenges being undertaken any time a multi-practitioner listing is created. 2.) If the multi-practitioner business is not new, chances are very good that there are listings out there for present, past, and even deceased practitioners. If a partner is current, be sure you point his listing at a landing page on the practice’s website, instead of at the homepage, see if you can differentiate categories, and do your utmost to optimize the practice’s own listing — the point here is to prevent practitioners from outranking the practice. What do I mean by optimization? Be sure the practice’s GMB listing is fully filled out, you’ve got amazing photos, you’re actively earning and responding to reviews, you’re publishing a Google Post at least once a week, and your citations across the web are consistent. These things should all strengthen the listing for the practice. 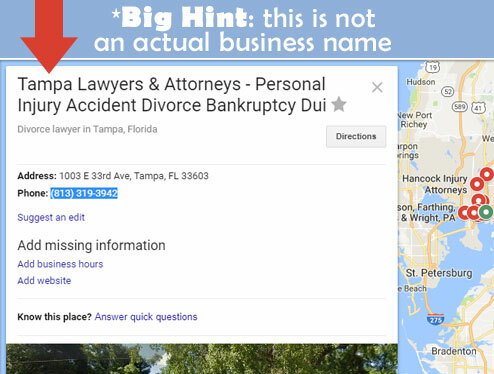 If a partner is no longer with the practice, it’s ideal to unverify the listing and ask Google to market it as moved to the practice — not to the practitioner’s new location. Sound goofy? Read Joy Hawkins’ smart explanation of this convoluted issue. 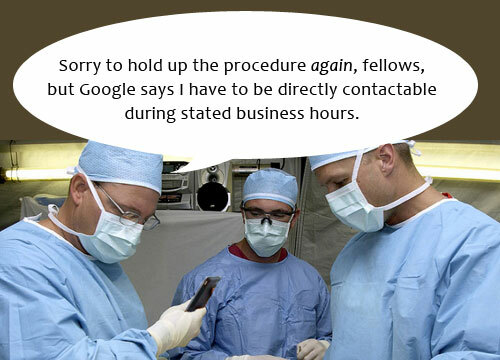 If, sadly, a practitioner has passed away, contact Google to show them an obituary so that the listing can be removed. If a listing represents what is actually a solo practitioner (instead of a partner in a multi-practitioner business model) and his GMB listing is now competing with the listing for his business, you can ask Google to merge the two listings. 3.) If a business wants to create practitioner listings, and they feel up to the task of handling any ranking or situational management concerns, there is one final proviso I’d add. Google’s guidelines state that practitioners should be “directly contactable at the verified location during stated hours” in order to qualify for a GMB listing. I’ve always found this requirement rather vague. Contactable by phone? Contactable in person? Google doesn’t specify. Presumably, a real estate agent in a multi-practitioner agency might be directly contactable, but as my graphic above illustrates, we wouldn’t really expect the same public availability of a surgeon, right? Point being, it may only make marketing sense to create a practitioner listing for someone who needs to be directly available to the consumer public for the business to function. I consider this a genuine grey area in the guidelines, so think it through carefully before acting. It’s genuinely an honor to advise owners and marketers who are strategizing for the success of local businesses. In our own small way, local SEO consultants live in the neighborhood Mister Rogers envisioned in which you could look for the helpers when confronted with trouble. 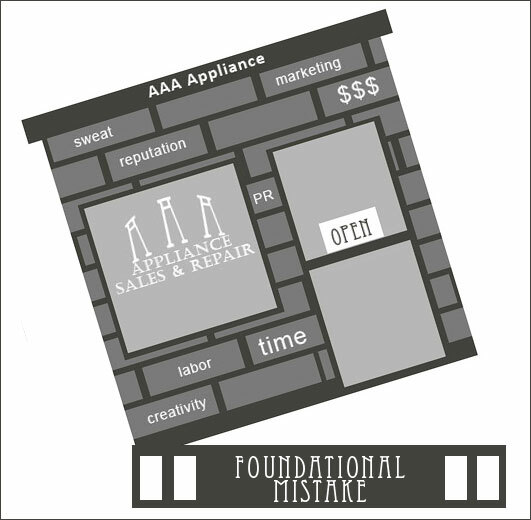 Given the livelihoods dependent on local commerce, rescuing a company from a foundational marketing mistake is satisfying work for people who like to be “helpers,” and it carries a weight of responsibility. Learn to ask the right questions. Small nuances in business models and scenarios can necessitate completely different advice. Don’t be scared to come back with second and third rounds of follow-up queries if someone hasn’t provided sufficient detail for you to advise them well. Read all details thoroughly before replying. Always, always consult Google’s guidelines, and link to them in your answers. It’s absolutely amazing how few owners and marketers have ever encountered them. Local SEOs are volunteer liaisons between Google and businesses. That’s just the way things have worked out. Don’t say you’re sure unless you’re really sure. If a forum or client question necessitates a full audit to surface a useful answer, say so. Giving pat answers to complicated queries helps no one, and can actually hurt businesses by leaving them in limbo, losing money, for an even longer time. Network with colleagues when weird things come up. Ranking drops can be attributed to new Google updates, or bugs, or other factors you haven’t yet noticed but that a trusted peer may have encountered. Practice humility. 90% of what I know about Local SEO, I’ve learned from people coming to me with problems for which, at some point, I had to discover answers. Over time, the work put in builds up our store of ready knowledge, but we will never know it all, and that’s humbling in a very good way. Community members and clients are our teachers. Let’s be grateful for them, and treat them with respect. Finally, don’t stress about delivering “the bad news” when you see someone who is asking for help making a marketing mistake. In the long run, your honesty will be the best gift you could possibly have given. Next articleYou Can’t Be 100% Motivated And On Fire All The Time So Stop Trying To Be.